Envelope yourself in one of Charlotte Rhys's divine scents. Safe to use on pillows, linen, towels, curtains and carpets. Supplied with an integral spray pump top. 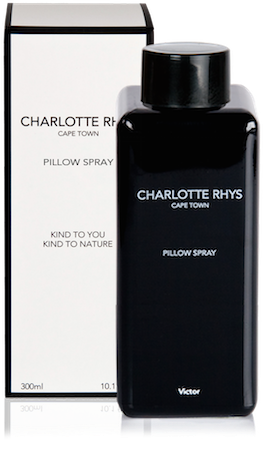 All Charlotte Rhys products are biodegradable, eco friendly and cruelty free.